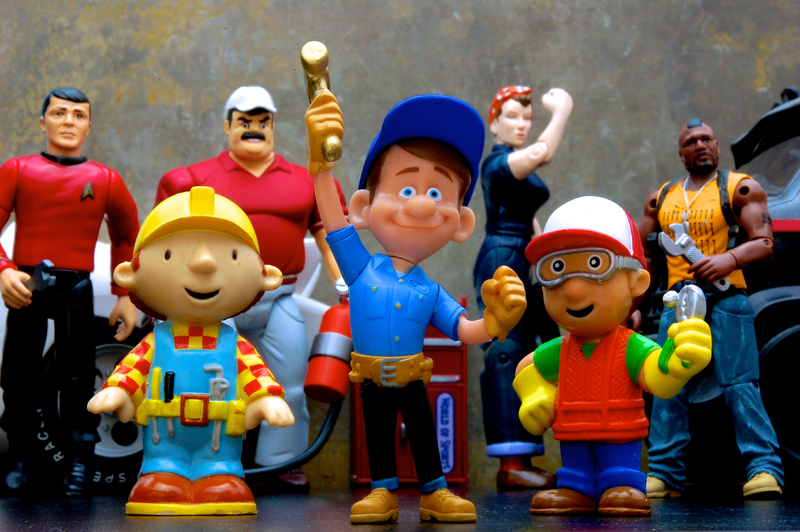 Photo courtesy of JD Hancock (http://bit.ly/1whbJh7) “The Fix Is In” : Attribution 2.0 Generic (CC BY 2.0) on flickr creative commons. The good news is that there are a lot of people out there who want to help you find a job. The bad news is that not all of the advice out there is good. In fact, some of it, when followed, will stand between you and the job you want and need. There are also things that job seekers do that completely contradict the good advice that is out there. It never ceases to amaze and alarm me that job seekers spend their time engaged in activities that do absolutely nothing to help them achieve their goals when there are so many enjoyable activities that will. 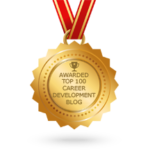 Here are the top 10 things that I have personally seen done in the last 8+ years with alarming volume and the things that can be done instead to help job seekers gain and sustain momentum in their job search. People currently in a job that they want or need will make keeping their job a priority. They will not do anything to jeopardize their reputation or the well being of their organization. They will, however, be sure to make recommendations that have a high chance of improving their company or make them look good. Corrective Action: Request a new contact’s time to better understand the organization’s needs. Inspire them to give you an introduction to the stakeholders so that you can recommend solutions, even if the solutions are other people. Certainly, there are a lot of people out there who want to help. Even helpful people have a limit to their time and their willingness to help strangers who may abuse the network that they have invested time in nurturing. You DO have a lot more to offer than just filling an open position in a company. You have a network of your own and solutions to problems. Corrective Action: When you identify a contact who may be able to assist you, review the contact’s profile for indications of how you or your network might be able to serve him or her, such as in the recent status updates. Then, write an invitation that requests a phone or in-person meeting to discuss how you can help each other before you join each other’s network. Then once you do connect, use the notes field of the profile to record what you identified as that person’s needs and be proactive to follow up on them. About every article or speaker that I have ever seen on the subject of LinkedIn has advised users to replace the boilerplate LinkedIn invitation. Unfortunately, almost all of LinkedIn’s screens inform you of people you can invite, or prompt you to do so, without giving you the ability to customize your message. You actually have to visit their profile and click on the CONNECT icon to have the option to customize your message. Corrective Action: Personalize every message and be explicit as to what assistance you are seeking while offering yourself and your network to help with their initiatives. Let’s say you were on a date and it went well and you asked for a second date for next Friday, but he or she wants to wait until next Thursday to let you know. Now let’s say they told you that they wanted to wait until Thursday because they want to see if a hotter date is going to pan out or not. Now let’s say you’ve been dating for months and you proposed, but your amore wants to explore his or her feelings for someone else before giving you an answer. When you consider that a company spends weeks or months trying to find that special someone, and you usually have weeks to consider the company as a match, more time to consider an offer puts the company at risk that they might have to start the process all over again. Corrective Action: Request 48 hours to evaluate a company’s WRITTEN offer and give them an answer in that time. If you are already in consideration for a position, there are ways that you can improve your chances, but there are also ways to hurt your chances. Trying to engage inside advocates often just creates internal conflict. Most hiring is not done democratically. A new person can really tip morale one way or another, so everyone has a vested interest in who gets hired, but few have the authority to do the hiring. Keeping a company’s politics in check so that it does not affect productivity is already a tricky enough task. Asking someone to “pull some strings” if they are not the hiring manager is a request that can put everyone in an uncomfortable position. Corrective Action: When you identify additional contacts in an organization, ask them to help you gain additional perspective on the organization’s problems (without jeopardizing confidentiality) and discuss potential solutions. Then you can include this insight in the WRITTEN thank you note that you send to the hiring manager and any other stakeholders who were involved in the interview process. Chances are, even if you are “flexible,” you have more criteria to the job that you would accept than it just matching a job title. Logically, it may make sense that the more general you are when you ask people to keep alerted to positions for you, the more leads you will receive. Practically, however, your function in a company rarely cleanly matches a job title and not only will you receive job leads that you will not want to follow up on, but the people who pass them on will be discouraged and less likely to pass something on if they think you will not follow up. Also, by the time a posted position makes it to you, it is often too late in the game to be considered. Corrective Action: Explain to people what problems you solve, for whom, and what conversations they might hear that indicate that an introduction would be beneficial to all parties. When you do receive a lead that does not fit, but includes a contact name, follow up, be forthright and offer to help them find the right candidate. Back to the song from Sesame Street, “Who are the people in your neighborhood?” Think about the people who see other people all the time. People in your field may see other people in your field, but they also might be limited to seeing people in their field that only work for their company, and once they exhaust their own company as a viable employer for you, there may be past colleagues. According to a University of Virginia study, we are all connected by no more than seven degrees of separation. If you are on LinkedIn, it probably surprises you how you are connected to people. It is very visible once you put your network into a digital map. What about the rest of your network, however? What about your dentist, your mailman, your landscaper, the cashier at your favorite lunch spot? They also see other people all the time! Corrective Action: Make inquiries of people who are outside of your professional realm to see who and what they know that might help you find out who has problems that you can solve. When you are doing a self-discovery process to determine what your next line of work will be, the input of others is sometimes helpful; it is impossible to be objective about yourself, after all. However, no one should know more about what you want than you. People generally have great intentions when they make suggestions, but most of their reasons will be in direct contrast to YOUR priorities. Corrective Action: Give other people an idea of what you consider to be your strengths and what you suspect you would want to contribute to an organization. Ask for suggestions and make a list. Identify at least 3 people for each potential path who are willing to share with you what the challenges and rewards of that role are. Compare these with your concerns and greatest desires. Narrow the list down to one and design your campaign (or ask us for help). When the Bureau of Labor and Statistics gather and disseminate information, it is comprehensive. When the media reports it, it is simplistic and usually bleak. If an area is “growing,” so is your competition in that area. What is growing today may be shrinking tomorrow. Those who survive will be the ones with the highest qualifications and passion. Also, it is not as important to know who is NOT getting a job as it is to know who IS getting a job and why. Corrective Action: Pursue the position that is most viable for you – the one that genuinely aligns with your talents and motivations. When job boards first became commonplace, they did more good than harm. Now they are a necessary evil. Companies need to track their candidate applications and are required to keep records on what actions are taken. That does not make job boards the best way for you to be noticed or invited for an interview. You may still have to submit your information through a company’s website to comply with their human resources procedures. You do NOT have to start there. Corrective Action: Track the time that you spend on your transition, including social engagements, as long as you leverage them. Adjust your weekly activity so that no more than 5% of your time is spent on job boards. Set up agents on the aggregating sites (Indeed, Simply Hired) and check them ONLY twice a week. Once you identify a desirable position on a job board, go straight to LinkedIn or niche recruiters to find a better way to get in front of the hiring manager. Use the online application offered by job boards as a LAST RESORT. Photo courtesy of Meditation by Alice Popkorn on Flickr Attribution-NonCommercial-ShareAlike 2.0 Generic (CC BY-NC-SA 2.0). http://bit.ly/1A0Vapa. If you are like most job seekers, interviewing makes you nervous. Job and interview coaching experts, like me, all agree that preparation is the best prescription for performing your best at an interview. There are some great tips on common sense and “extra mile” steps you can take to ensure that you put your best foot forward, like how to be calm, confident, and on time. However, even the most prepared interviewers may not be using the most proven techniques for top interview performance – meditation, visualization and mental practice. None of these techniques are new. In fact, I’ll bet someone you admire has been applying one or all of these techniques already. 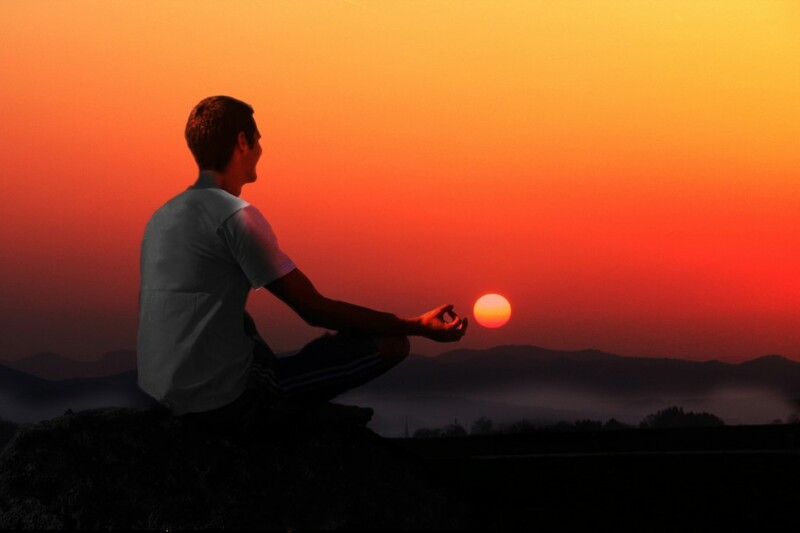 Meditation has been known to curb tobacco cravings, improve test performance, and shorten reaction time. Top athletes use it to enhance their performance. Coach Carroll of the Seattle Seahawks implements meditation into his program for its ability to develop grit, a known key ingredient for success. 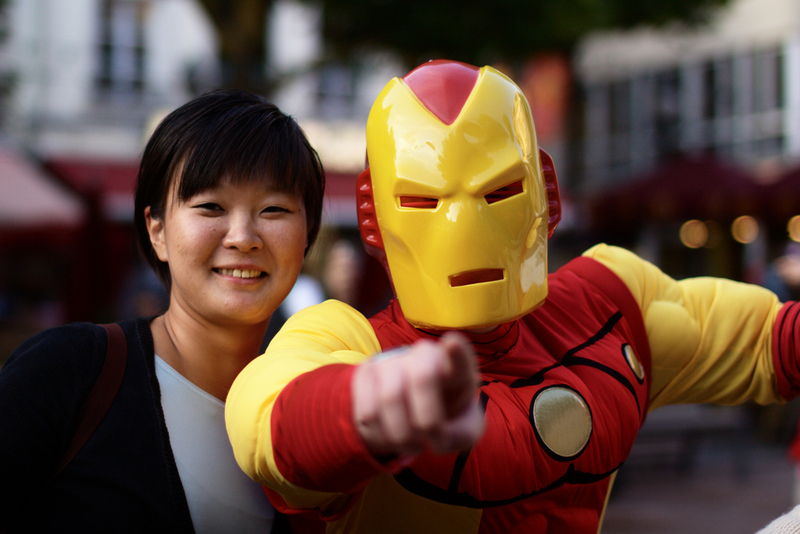 How do you use an alter-ego to get job offers? Once you develop a good idea of the ideal version of you, a gap remains between the consciously manifested version of you and your subconscious identity. The key to bridging this gap lies in an activity, better recognized as a discipline, that provides your conscious mind greater access to your subconscious mind. Meditation traditionally occurs through a biofeedback type of exercise, where you focus on your breath and relaxing your whole body one part at a time. There are many techniques to achieve desirable results. Some require that you breathe in for so many seconds and out for so many seconds. Some want you to imagine yourself from above, or sense that you are connecting to a higher energy. It is sometimes recommended that you hold your hand on your heart and feel your heartbeat slow down, or rather will it to slow down. Whatever way you arrive at a meditative state, there is one major ingredient that you use if your intention is to tap into this super version of you. Once in a meditative state, characterized by theta brain waves, which are usually associated with light sleep and drowsiness, start by recalling an emotion – pride. Remember a time when you felt proud of yourself. It could have been a major accomplishment, or something as minor as keeping your cool during a time of chaos, or having a witty comeback that made everyone laugh. Whatever it is, focus on the emotion and let other details filter in. Notice your posture. Notice where you feel the pride in your body. Is your chest high? Your head tall? Are you smiling? Is it a big smile or a slight smile? Once you go through the sensations in your body, notice with your other senses what is around you. What can you smell? Is it warm or cold? Who is there? What is the light like? What are people wearing? Now that you have fully tapped into a point in time where you were an ideal and authentic version of yourself, you can add more depth and dimension to your alter-ego version of you and imagine what happens next. Imagine that this version of you immediately leaves this scene to go to a prospective employer’s office. During the commute in your ideal car, the traits of your alter-ego become enhanced, kind of like a hulk effect, only you are transformed optimally by these ultimate positive traits. You can even use the commute to visualize what traveling to your ideal employer would be like. Perhaps you would prefer to bike to work through a park. Use all of your senses and be as descriptive as possible. Is there a stream in the park? Who do you pass in the park? What reaction to you do they have? Now, you have arrived at your destination, your ideal employer. Visualize what the building looks like. Is this a large campus, or a work-share space? How is it decorated? How does it smell? Who greets you? Now that you are there, it is time to use one more technique to make sure that all of your preparations lead you to optimal performance in the interview and the ultimate outcome – an enthusiastic job offer with a very pleasing compensation package. I first became aware of mental rehearsal while reading The Intention Experiment by Lynne McTaggart. A follow up to her book, The Field, this book chronicles many amazing scientific discoveries that substantiate the effectiveness of all of these techniques, but the results she cited actually prove that not only is mental rehearsal a powerful supplement to physical training, but it is almost as effective BY ITSELF! It turns out, you CAN actually think yourself thin, strong, fit, pretty, etc. I recommend that you use mental rehearsal to apply what you have already learned about promoting your value in an interview. As you progress through the interview as your alter-ego, picture the interviewer asking exactly what you want them to ask, and answering exactly as you have been instructed, advised or coached. Imagine the interviewer’s excitement and interest building as you lay out what hiring you will look like, how you plan to offer your highest professional contribution, and what impact that will have on your boss and the company. Since we are imagining the ideal interview, make sure the person with whom you are interviewing is your ideal version of a boss and has ultimate authority to hire you on the spot. As I stated earlier, meditation is considered a discipline. It takes practice to learn how to quiet your mind if you are not accustomed to doing so. Start small, with five minutes, and build up to a good hour on a regular basis. This may seem like a large investment of time, but the results are the return on your investment, and if the results come with a large salary, I think you’ll agree that it’s quite worth it. Plus, once you have practiced your visualization multiple times, you can condense it to a 15-minute exercise that you can do right before each interview, or even just a meeting. Set your intention and imagine it playing out just as you would want it to. Record yourself (or someone else) describing this scene for you, bringing you through an optimal hypothetical outcome that would be probable if you were to embody all of the characteristics of your alter-ego. The point of this is not to be someone different than who you are. If you admire these qualities, you already ARE those qualities. But your every day experiences, failures, etc. result in you unlearning who you are intrinsically. It is often unintentional, but our self-esteem and self-worth is sometimes sacrificed in the wake of self-improvement, just when we need it most. Even those with thick skin who recognize the need for constructive criticism can feel degraded by a delivery that lacks compassion. Little by little, these conscious efforts will bleed into your subconscious and you will start to embody these characteristics with littler effort each time. Use these techniques to reclaim your highest self and achieve the ultimate EPIC career path and package. Please share with us if you use these techniques AND what they have helped you create. Photo courtesy of Gwenael Piaser from flickr open source (NonCommercial-ShareAlike 2.0 Generic: http://bit.ly/1AQcsqF). Chuck Lorre is a television producer who struck gold as the writer and creator of Big Bang Theory and Two and a Half Men. Despite his overwhelming career success, the 62-year-old producer suffers from “imposter syndrome,” a psychological phenomenon where people are unable to internalize their accomplishments. In a 2012 interview on NPR’s Morning Edition, Lorre admitted when he writes a script that “stinks” he feels like a fraud, and needs to go and hide. The phenomenon is prevalent among high achievers. Facebook CEO Sheryl Sandberg even discusses the problem with Oprah. If we turn the imposter syndrome around for the purpose of job seeking, we have the idea of building up confidence. It is a way to mentally push past the hesitancy of many job seekers to fully promote themselves during the job search. When it comes to searching for a job, many candidates don’t promote themselves nearly enough. Many people balk at the idea self-promotion, and it is easier to talk about the value someone else brings to a future employer than it is to talk about oneself. As a career coach, I see the connection between people who fail to portray their value as an employee and their lack of career advancements. I also saw as a recruiter that the job didn’t always go the highest qualified candidate. It went to the candidate who was able to build rapport and promote their value. These candidates often negotiated a salary higher than what we were told was “possible.” The prevalent tendency of job seekers is to shy away from self-promotion. It becomes much more difficult to advance your career, or make a job transition if recruiters don’t know about your skills or how you could bring value to their company. Learning to promote yourself means that employers will know the potential value you bring to their organization. Self-promoters understand being able to communicate their abilities, skills, and value as a worker are essential to taking their career to the next level. If you are feeling uncomfortable with the idea of self-promotion, perhaps just consider it a change in your promotional tactics. The trick: create an alter-ego that is your agent and will promote your value. Consider this 2014 report on NPR: Emily Amanatullah, an assistant professor at the University of Texas, realized negotiation tactics were a difficult subject for women to master. She ran an experiment where she had both men and women negotiate starting salaries for themselves and on behalf of someone else. The results were telling. The women who negotiated salaries for themselves asked for an average of $7000 less than the men. However, the women often negotiated for better starting salaries if they did so on behalf of a friend. Creating an alter-ego to self-promote during a career transition could go a long way toward getting that advancement. If it is easier to advocate for a friend, then why not become that friend? An alter-ego, or second self has been used by figures throughout history. Many people have used alter-egos to keep their true identities secret, or to compartmentalize difficult opinions or actions. One of the most famous alter-egos of today is Stephen Colbert. In the satirical The Colbert Report, he is an outspoken rightwing pundit. The real Stephen Colbert is very private, claims to be less political and his true personality isn’t very well known. For our purposes an alter-ego would be an idealized version of yourself who constantly promotes your skills and value during the job seeking process. In my article, “Why some people never get ahead” I wrote about why the lack of self-promotion can cause people to stagnate in their careers. If you’re uncomfortable with letting others know about your tremendous value as an employee, your professional network won’t take notice. The way you portray yourself to your networks can inspire people to make introductions that may lead to enticing job offers. For employers, you could be the solution to their problems. If you’re not out there promoting yourself, not only do you miss an opportunity to advance, but the employer misses an opportunity to secure great talent. Avoid the mindset that simply keeping your head down and working hard will bring you the advancements you seek. Michael Cruse’s article “The importance of self-promotion in your career,” points out that employees seeking a promotion must act on their own behalf. It is rare that someone in a position to promote you will act as a personal champion for you, especially if they don’t know you’re seeking a promotion. Millionaire author T. Harv Eker writes about the people who believe talent alone is enough to bring them success in his book, Secrets of the Millionaire Mind. Here is a very poignant excerpt: “You’re probably familiar with the saying ‘Build a better mousetrap and the world will beat a path to your door.’ Well, that’s only true if you add five words: ‘if they know about it.’” Sheryl Sandberg has stated in her book, Lean In, that an internal sponsor is critical to success. It is great to have someone willing to vouch for you, but you also have to be your own sponsor. In short, self-promotion is the life blood of career advancement. How do you create an alter-ego that is your agent? Imagine that it’s not you you’re promoting, but the solution that you provide, on behalf of someone else. That “someone else” could be your child, spouse, other family member, or a friend. Think of your best qualities, skills and talents as theirs, and formulate a plan to promote them. For example, if you’re a project manager, imagine talking up those achievements to get your friend promoted. If the idea of being a family member or friend is too abstract, try simple role-playing. Create an idealized version of yourself, freed from the shackles of your own limitations. You want to come as close to perfection as possible, and you are brimming with endless possibilities. Nothing is beyond your reach. You want everyone to know great this person is, and how they are the solution to employer’s problem. Even the greatest performers have created alter-egos for themselves! When it comes to the job transition you first have to become your own best advocate. Sometimes it is necessary to create an alter-ego in order to promote yourself. Friends, family and professionals in your network may recommend you, but those introductions will only go so far. And while they love you and want what’s best for you, they won’t even know what to say about you to help you in an optimal way until you can articulate even to them what value you present to your future employer. No one can demonstrate your value to employers, except for you. Self-promotion is the key to moving forward in your career and your finances. Imagine the ultimate version of YOU. The rock star you. The version of you interviewed by Katie Couric. The version of you who travels to exotic places and can make heads turn at a gala. You ARE the center of attention and everyone wants you as the solution to their problems. Here’s an exercise for you after you’ve created an alter-ego. Create a list of five people who fascinate you and embody the qualities that you most admire. Now, share some of the characteristics of your alter-ego. Does your alter-ego have high energy? Could he or she get a crowd to clap along with you? Is your alter-ego the cool and mysterious type? And most importantly, how do you get into your alter-ego state before show time? Photo courtesy of Mark Kens on flickr open source. “Social Media Cloud by Techndu”(http://bit.ly/1BQicff). Getting a company’s legal department and their marketing department to work together can seem like an exercise in futility. The acrimony between the two departments can be can be a drag on the overall business. The marketing department wants to move ahead with its latest campaign, while legal is concerned with avoiding risk and mitigating possible lawsuits. Throw the legal risks of using social media into the mix, and acrimony between these two departments may increase exponentially. The benefits businesses receive when using social media are essential in this day and age, but what are the negative impacts of not using social media? What happens when a company’s overly cautious legal department triumphs over their marketing department in terms of social media usage? There are very real risks and challenges involved with social media, and sometimes marketing and legal departments can’t come to a consensus regarding its use. Rather than create a comprehensive social media policy that covers a company’s legal bases (while building relationships with customers), a business may deem social media too risky. Avoiding social media may satisfy risk-adverse businesses, but there are serious implications to ignoring the medium. Stunted growth, perceptions of poor customer service, and an indifference to new technology are ways that a limited social media presence can kill a business. Furthermore, a company’s employment brand may become damaged. Employees, who feel stifled by a restraint on their own social media activities, may leave the company. It becomes difficult for a business to hire and retain talented workers, especially if those workers take pride in mentioning their place of employment on social media. Allowing employees to engage on social media can make it easier for them to make a positive contribution to company’s brand, and can help discourage turnover. First, let’s discuss legal and marketing departments, and why they may object to company’s social media presence. Legal departments are crucial in supporting businesses. They provide legal advice that includes litigation, intellectual property protection, regulatory compliance, business conduct and other corporate affairs. In short, legal departments ensure a company’s actions do not run afoul of the law, and that their legal bases are covered. From a company’s legal perspective, social media usage can be a real nightmare for a variety of reasons. Security concerns: Hackers can either take over social media accounts of a business, or their known employees. If passwords are shared, this could open up the door to a company’s customer and employee database being compromised by hackers. The entire debacle surrounding Sony is an excellent example. Copyright infringement is another real problem if a business chooses to use content created by others. If a company uses a person’s likeness or positive review on a social media account, it may violate a customer’s right of privacy. For example, if a customer wrote a glowing review about a company’s service and the company used that testimonial without permission it could pave the way for litigation. Terms and conditions: All social media platforms have their own terms and conditions when it comes to advertising. A failure to follow those requirements may result in an account being removed (talk about embarrassing! ), and possible legal liability. Employee liability: Employees who post on a company’s official social media accounts or those who represent a company on their own social media accounts can be a legal risk. If any employee makes a comment that offends customers, defames the competition, is false advertising, is deemed hate speech, or accidentally leaks sensitive information, the business can be held liable. 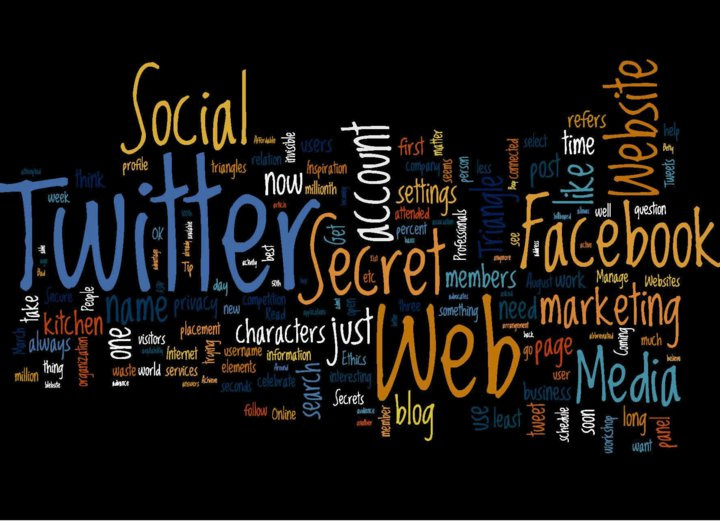 Trade Secrets: Any employee could accidently post trade secrets or other proprietary information on a social media account. If that information is re-shared and goes viral, it could present a major problem for the company. Avoiding risk may take the form of not allowing employees to use social media outlets, even for personal use. For example, an employee may not be allowed to post on LinkedIn or Facebook. Maintaining such a strict policy may ensure employees never place their employer in a bad light, but such a move can inhibit workers from building a relationship with clients. Also, many company cultures that embrace social media enjoy the added value that a dynamic workforce offers. People who are “out in the world” can father much more intelligence and develop a greater perspective for their employer. Employees who are happy with their jobs can become major advocates for a company. Their pride and sense of purpose at work will manifest as genuine enthusiasm. In terms of official company accounts, if a business never engages with their customers on social media (especially when there’s a problem), their silence can be interpreted as aloofness or outright disdain. I know a programmer for a company who is also an avid social media user. Being an employee of this company, he’s not allowed to mention he works for the company (or mention the company at all) on his social media accounts. I wouldn’t have known at all he worked for them if he hadn’t of casually mentioned it while we were at an Oktoberfest event. In talking to him privately, it turns out he loves working there. He values the company’s commitment to maintaining a racially diverse workforce, loves his work there as a programmer, and is being groomed for a promotion. Recently, this company has been getting a lot of bad press. We almost never hear about workers being satisfied with their jobs at this company. How different would our perceptions of this company be if employees were encouraged to share their experiences on social media? We may even give the company business or apply for a job there. Marketing departments are essential to generating sales leads, maintaining brand awareness, building customer relationships, and keeping an eye on long-term consumer trends. Without leads generated by marketing, a business wouldn’t have customers to sell to. It is crucial that marketing gets the word out about the products or services their company offers. Social media is just one of many tools marketers have at their disposal, and using it is essential to remaining engaged with customers. Turning negative comments into a positive experience: Opening up on social media can potentially open the floodgates to a surge of negative comments. If a customer is unhappy with a product or service they won’t hesitate to voice their displeasure to family, friends and followers in their networks. Worse, having a presence on social media can invite hostile users to negatively comment, regardless of if they are a customer or not. No one wants to be on the receiving end of such criticism, warranted or not. A skill use of the medium can turn a potentially brand-damaging scenario, into a way to highlight a company’s excellent customer service. Overcoming a major time sink: Marketing departments are already busy, especially if the business is small. Fielding comments, concerns and using the medium to blast out company information takes valuable time from other forms of communication. A company’s marketing staff knows the value of social media, and will often work usage into their daily schedule. The target audience is shifting from traditional media to social media: A client-base using traditional media may be larger than the one using newer forms of media. That said, the audience is already using social media on a daily basis, and usage of the medium continues to grow each year. The interactive nature of the medium means its impact is far greater than traditional media’s. There’s always something to say: A smart marketing plan consists of posting products and services on their social media accounts. The latest information is what customers’ value. Additionally, marketing campaigns can be creative and give their followers a sneak peek behind the scenes of their business. Other fun ways marketers can interact can is to conduct polls, have Q&A sessions, and ask clients for their direct thoughts on products and services. Is it worth the ROI: Every business wants a Return on Investment. Even if using social media is free, it still requires time and effort from employees. If an increase in sales isn’t immediately apparent it may be tempting to ditch, or heavily limit social media usage. Social media usage goes far beyond the bottom line. The cost of not going to where an audience is can do far more damage to a brand, than spending the resources to conduct a comprehensive social media campaign. The benefits that social media brings to a marketing campaign can’t be stated enough. A business that closes itself to social media will be left in the dust by the competition. Many customers take to social media in order to get a problem resolved or to further connect with a brand. Being absent on social media means a missed opportunity to resolve a bad experience for a customer, and a missed potential to turn them into brand advocates. Additionally, current (and future) customers on social media want to hear about service and product updates, and expect the majority of businesses to have an active social media presence. On the flipside, social media is an excellent way for marketers to gain valuable customer insights through feedback, monitor their competition, advertise company culture to potential employees, and generate customer leads for sales. Shift the top-down power structure to a more distributed system: Ultimately, management makes the final decision regarding the differences between legal and marketing departments. Allowing each department to organize themselves in a bottom-up structure means tensions between the groups can be processed locally. Allow this distributed system to splinter into smaller groups: Within particular departments not every individual will agree on the best actions to take regarding an issue. Very small groups in both legal and marketing may be able to collaborate and develop solutions for every aspect of a business plan. Allow self-organization within the groups: Again, the bottom-up approach can work well to diffuse tensions within a group, no matter how small. Allow internal organizations to share their problems with other groups: If each group can’t come to a consensus on how to deal with a problem, they can share their issues with other group. Imagine both departments and their differing goals, collaborating instead of fighting. Allow the structure of how issues are resolved to change: If the structure within a company isn’t working, the structure itself can be changed. Having such flexibility can avoid the trap of the same arguments that lead to fighting among the legal and marketing departments. Develop clear policies about how employees should conduct themselves on social media: Whether employers like it or not, their employees are going to use social media. Sometimes they may not have nice things to say about an employer, Discouraging social media usage isn’t good for a business, and in some cases it may even be illegal. Instead, formulate a comprehensive policy that covers what employees can and can’t talk about while mentioning their employer on social media. Make sure trade secrets, offensive comments, defamation, and other socially unacceptable actions are a “no-go” zone for online posting. A good rule of thumb to remember is to keep it courteous and professional. The consequences for a lack of professionalism by an employee can range from probation to termination. A third party firm can be beneficial to companies developing these policies. An outside firm can come in and mediate while creating standard content that each employee can use. It is a great way to move the company forward, if there are growth initiatives and human capital initiatives. A company can make up for lost time and progress by hiring a firm (like Epic Careering) to write profiles for the front lines (sales, customer service, and recruiting), and for the executive team. A clear and concise understanding of who manages official social media accounts: It is imperative to create a social media team, regardless of the size of a business. If the team consists of more than one member, assign roles to determine who will perform each task, including who actually posts to accounts. It is important to maintain one official voice between each social media account. Official accounts and their followers belong to the business, not the employees running the social media account. A comprehensive guidelines for dealing with negative feedback: It starts with being positive and proactive. Ways to deal with negative feedback that may damage a brand can consist of an employee dedicated to handling complaints. Issues can be resolved privately, but it is essential to let the public know an issue has been resolved. Businesses can take it a step further by reaching out to customers after the issue has been resolved. A few small, but meaningful gestures can turn a satisfied customer into an evangelist for a brand. An understanding that social media is less about ROI, and more about brand management: The Return on Investment for social media usage can be hard to measure. That doesn’t stop companies from trying by using a mix of analytics, customer engagement and conversions. Mashable.com has an excellent infographic on how businesses measure the ROI on social media. That said the benefits outweigh the costs of using the medium. In particular, social media is useful for building a brand, managing relationships with customers, developing products, customer interaction (including feedback and support), and building a community. It is a great way to demonstrate a company’s expertise and differentiate from the competition. The trust and loyalty gained from effective social media usage can’t be overstated. A failure to fully embrace and utilize social media by businesses can mean a sudden death. A competitor fully tuned into social media can come in very quickly and dominate a market in some industries. Any company that wishes to remain vibrant and relevant in today’s highly connected world needs a consistently branded presence on social media. Getting the legal department and the marketing department to play along nicely doesn’t mean a business has to sacrifice their online presence to mitigate risk. A well-developed guide that covers employee behavior, online accounts, data protection, and ways to deal with negative feedback are great ways for a company deal with issues that may arise because of a strong online presence. Effectively leveraging social media as a powerful marketing platform can increase brand awareness that makes sales easier. The effort of inspiring collaboration between legal and marketing departments may mean an investment of time, some communication training, or mediation. That effort will make all of the other outward business efforts (sales, partner development, recruiting, and even selecting vendors) easier and more successful.